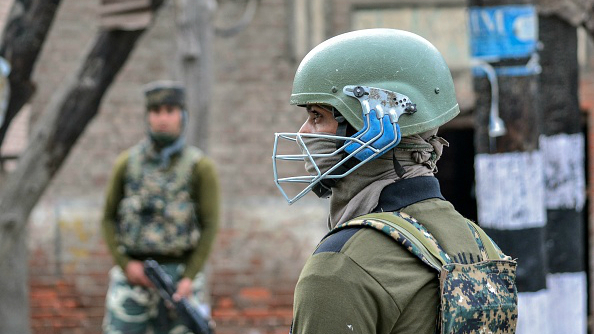 On April 1, an Indian army operation targeting separatist insurgents in the Shopian and Anantnag districts of Indian-administered Kashmir quickly spiralled out of control. Gunfire between the groups escalated into broader unrest when hundreds of civilian protesters took to the streets in solidarity with the insurgents, in some cases throwing stones at the military personnel. Officers reportedly responded by opening fire on the swelling crowds, deploying tear gas, pellet guns and some live ammunition. Further protests have followed throughout the week, with the Indian military imposing curfews, roadblocks, and restrictions on Internet access across the region. At least 21 people are estimated to have lost their lives in this week’s unrest, including 13 militants, three members of the armed forces and five civilians. For the roughly 200 injured, a different struggle looms. Many of the patients admitted to hospitals in Srinagar – the main city in the region – reportedly have eye injuries from the pellets used by the armed forces. “I had gone to the shop and was hit on the way,” Adil Sheikh, who is suffering from grave injuries to his left eye, told Al Jazeera. The Indian government maintained that it acted proportionally. The operation against the militants was presented as a success by military officials. “It is a special day for our forces,” declared Lieutenant General A. K. Bhatt. Kashmir has been split between Pakistan and India since 1949, with each nation administering their own zone but maintaining their respective claims to the whole region. Indian-controlled Kashmir, part of the Indian state of Jammu and Kashmir, has struggled to manage the concerns of its Muslim majority population. Since the late 1980s, insurgent groups have swept the area, fighting in some cases for ‘azaadi’ (freedom) for Kashmir, or outright unification with Pakistan. Around 40,000 people have been killed in the fighting connected to this insurgent activity, according to the most conservative estimates. Despite numbering barely over 200 individuals, the militants’ cause has gained popularity amongst local people in recent years. 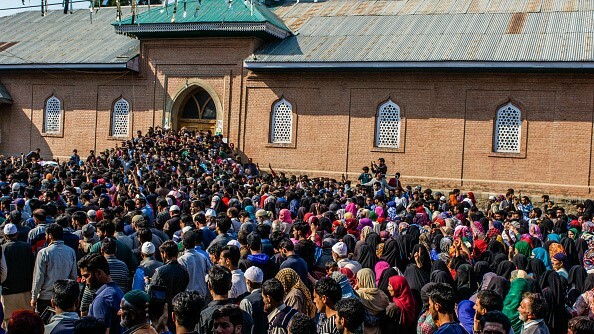 An estimated 200,000 people attended the funeral prayers of Burhan Wani, leader of the separatist group Hizbul Mujahideen, after he was killed by Indian security forces in July 2016. That summer inaugurated the current wave of unrest in southern Kashmir, with dozens killed and over 1,000 left with eye injuries from pellets fired by military personnel. The government of Indian Prime Minister Narendra Modi has made gestures towards finding a peaceful solution. Last year, former intelligence chief Dineshwar Sharma was appointed as a special representative to hold negotiations with the Kashmiri separatist collective known as the All Parties Hurriyat Conference. The separatist groups have largely refused entreaties from New Delhi. After this week’s violence Mr. Sharma appealed for calm. “The path of violence is never going to bring any solution or wellbeing to the youth or the people of Kashmir,” he said in a statement to Kashmir News Service. Human rights organisations, however, argue that the Indian state has wielded excessive force against the population of Kashmir. There is a “culture of impunity” in the Indian armed forces, says Meenakshi Ganguly, South Asia director of Human Rights Watch, with low accountability and frequent cases of “indiscriminate and excessive force”. The Jammu Kashmir Coalition of Civil Society, a local group documenting human rights violations, alleged that 2017 saw an “upsurge in human rights violations” in the state. Accordingly, at least 19 civilians were shot dead in “encounter-site killings” with militants – 217 of whom were killed last year. Wider charges against Indian military and law enforcement ranged from reports of “forced disappearances” to several highly-publicised incidents of them using Kashmiri civilians as “human shields”. India’s Armed Forces Special Power Act (AFSPA) from 1958 is a particular source of controversy. Opponents note how it hands “special powers” to military and law enforcement in “disturbed areas” like Kashmir, and allows personnel to generally escape punishment for potentially criminal behaviour - in the rare cases such investigations take place. India largely defends the conduct of its armed forces in Kashmir, denying UN human rights representatives access to the region, and backing AFSPA as vital to let them bring the requisite force to bear on the the insurgency. Some observers argue that India’s policy in the region is fundamentally flawed. “There seems to be no coherence in Modi's Kashmir policy except for giving a free hand to the armed forces and using the Kashmir issue to energise his most extreme supporters,” Subir Sinha, senior lecturer in Development Studies at SOAS, told TWW. Mr. Modi faced similar allegations last week. It was revealed that the Delhi spokesman for his Bharatiya Janata Party had been selling T-shirts online displaying an image of Farooq Ahmad Dar tied to the front of an Indian major’s jeep in Indian-administered Kashmir in 2017 – one of the alleged “human shield” episodes. Upon hearing of the news, one Kashmiri resident likened it to “mental torture”. Many observers fear this policy is estranging members of Jammu and Kashmir’s disproportionately young population, many of whom are already disaffected with the roughly 12% unemployment in the state. Anti-government messaging by militants is reportedly widely shared on social media by this technologically literate generation. Around 280 young people have joined the militancy in the last three years, according to a statement from the state government in February. Students were central in this week’s protests, chanting “Go India, go back!” at demonstrations in support of the insurgency’s cause at the University of Kashmir. “There has been a growing radicalisation amongst these young people,” contends Sumit Ganguly, professor of political science at Indiana University Bloomington, with many turning to “radical politics after they saw little opportunities to express dissent”. This dissatisfaction all occurs in the context of a string of incidents in Kashmir claimed to be the work of Islamic State(IS)-aligned militants. The Indian home ministry denies that IS has a presence in the state. Instability in Kashmir is a trans-national concern. On Tuesday, one Indian soldier and four of his comrades were injured near the border with Pakistan-administered Kashmir after Pakistan shelled Indian positions. Such deadly incidents across the ‘Line of Control’ between the two regions are a regular occurrence. In 2003 India and Pakistan instituted an informal ceasefire in Kashmir. According to the Indo-Pak Conflict Monitor – which looks at official and unreported violations – in 2017 India and Pakistan broke the ceasefire 2,032 and 977 times respectively. Both sides claim to only act in self-defence. India maintains that strikes on Pakistani territory are a vital necessity to respond to the terrorist threats which regularly flow across the border into Indian-controlled Kashmir – allegedly with the knowledge and at times support of the Pakistani state. “As long as Pakistan continues to support cross-border terrorism by sending militants into our country, India will not hold talks with the neighbouring country,” Rajnath Singh, Indian minister of Home Affairs, said in a policy speech in September 2017. Pakistan asserts that it is defending its citizens from Indian aggression. Indian actions in Jammu and Kashmir have been used to present Pakistan as the moral arbiter of the region. “The people of Pakistan stand with the Kashmiris’ democratic struggle for self-determination,” Pakistan Tehreek-e-Insaf chairman Imran Khan tweeted after this week’s unrest.